Data Harvesting: What you need to know. In the new age of social media, data harvesting is the process of representing, analyzing, and extracting actionable patterns and trends from raw social media data. Social media data harvesting requires human data analysts and automated software programs to sift through massive amounts of raw social media data (e.g., on social media usage, online behaviours, sharing of content, connections between individuals, online buying behaviour, etc.) in order to discern patterns and trends. These patterns and trends are of interest to companies, governments and not-for-profit organisations, as these organisations can use these patterns and trends to design their strategies or introduce new programs (or, for companies, new products, processes and services). Its an cheap and easy way to collect online data, the technique can often be used without permission to steal website information such as text, photo’s, email addresses and contact details (1). The data analytics firm that worked with Donald Trump’s election team and the winning Brexit campaign harvested millions of FaceBook profiles of US voters, in one of the tech giant’s biggest ever data breaches, and used them to build a powerful software program to predict and influence choices at the ballot box. 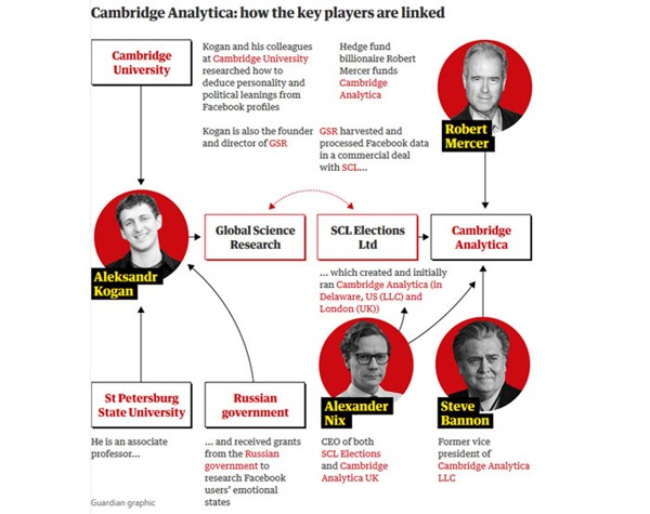 A whistleblower has revealed to the Observer how Cambridge Analytica – a company owned by the hedge fund billionaire Robert Mercer, and headed at the time by Trump’s key adviser Steve Bannon – used personal information taken without authorisation in early 2014 to build a system that could profile individual US voters, in order to target them with personalised political advertisements. Documents seen by the Observer, and confirmed by a Facebook statement, show that by late 2015 the company had found out that information had been harvested on an unprecedented scale. However, at the time it failed to alert users and took only limited steps to recover and secure the private information of more than 50 million individuals (3). 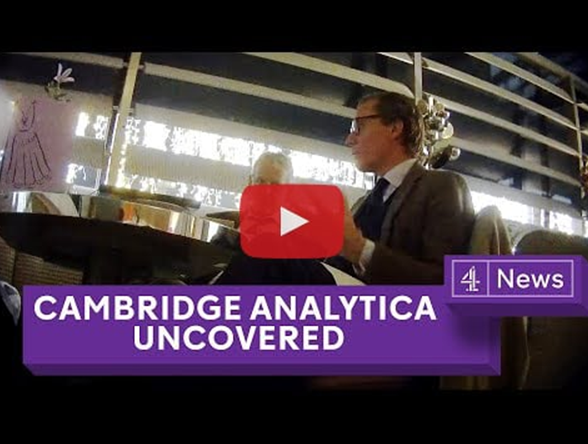 How to tell if my info was shared with Cambridge Analytics? Facebook has released an online tool that tells users whether their data was improperly shared with Cambridge Analytica. 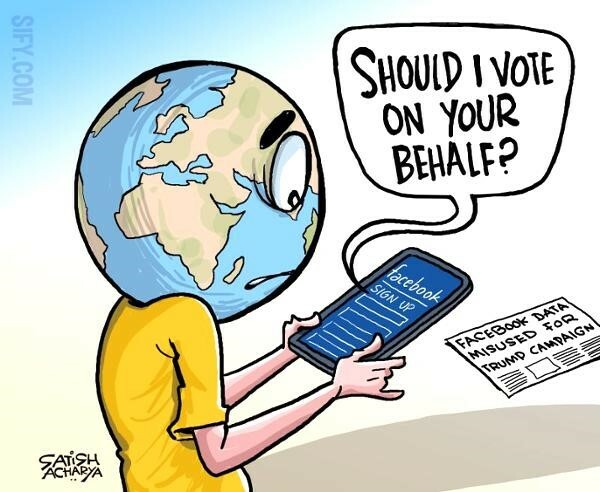 The social media giant said it would be rolling out news feed notifications from April 9 to the estimated 87 million people whose data was passed to the political consultancy firm. Visiting this page in Facebook’s help centre will now tell you whether you or a friend were affected. If Facebook users visit the page, they can see whether their information was shared with Cambridge Analytica by the personality quiz app This Is Your Digital Life. While the data of more than 300,000 Australian users was caught up in the scandal, The Guardian reported on Tuesday that only 53 locals took the quiz itself. Notably, the app pulled in the data of the quiz taker as well as friends in their network. The majority of people affected — more than 70 million — are in the United States. Cambridge Analytica has now been banned from using any of Facebook’s services. As part of a transparency effort, Facebook also plans to notify each of its more than 2 billion users about any information being shared with the apps they use. The notification comes after chief executive Mark Zuckerburg’s appearance before lawmakers in Washington DC, where he answered questions about the company’s control of data and user privacy. In remarks released before his Congressional testimony, Mr Zuckerberg took responsibility for what has gone wrong on the platform. “It’s clear now that we didn’t do enough to prevent these tools from being used for harm as well,” he said. ​ Marco Tapia is the founder and Managing Director of PicNet, A leading provider of IT services and solutions to Australian businesses – Click here to learn more. Do you have a moment to write a review? If you enjoy working with us, please take a few minutes to leave a review on our Google Business Page. Your feedback will help us to improve and get the word out to other businesses that may benefit from our services. 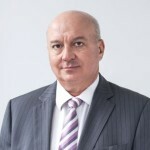 Managing Director, PicNet Pty Ltd. Marco has 30 years experience as Company Director, CIO, Business Technology Consultant and IT Project Manager, managing large and medium size IT functions for national and international corporations. He holds an MBA from the University of NSW, a BSc (Electronics), a Diploma in Systems Analysis and is a member of the Australian Institute of Company Directors. Visit our IT Consulting Services page and find out how PicNet can help you today. Building new software or systems to provide better services. R&D Tax Incentive.